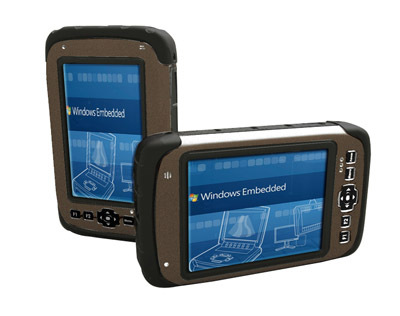 As Winmate is going to launch a new series of ruggedized handheld device in 2011, we want to first introduce you our 5.7" handheld device - R05I98H-RTD1. Its compact design with PC based platform allows users to carry around easily while working both inside and outside of their office. R05I98H-RTD1 possesses strong mobility including 3G, GPS and Wi-Fi, making remote office work a lot easier. R05I98H-RTD1 serves users with built-in devices including G sensor/ Altimeter/ Digital Compass which are considered most demanded features by field workers. Optional RFID and 2D barcode reader are available after June 2011.